The camera in the iPhone 7 is better than any iPhone before it, according to Apple, and then comes the iPhone 7 Plus. 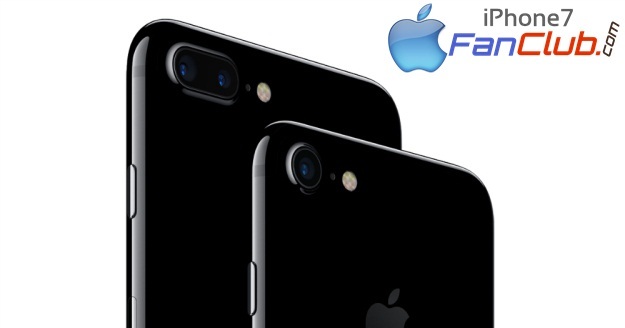 One of the best new Features of the iPhone 7 and iPhone 7 Plus cameras is the image signal processor (ISP) that Apple built into that powerful A10 Fusion chip. Whenever you take a photo or video, the ISP powers over 100 billion operations and uses deep machine learning (like recognizing humans in the pictures or video) to improve the shots. It automatically improves focus and white balance, and it delivers real-time bokeh effect to the phone’s screen (on the iPhone 7 Plus). The ISP produces instant results, needing only 25ms to set up your perfect shot, at least according to Apple. The True Tone flash has also been improved. It’s 50% brighter and even more efficient than its predecessor. It’s now called Quad-LED True Tone flash and adjusts to the color temperature of the environment. It also has the capability to reduce flickering from artificial lighting. The iSight camera on the 4.7-inch iPhone has a six-element lens and a 12-megapixel sensor. The camera now comes with optical image stabilization (OIS), just like all the iPhone Plus versions before. The OIS mechanism reduces motion and handshake and allows 3x longer exposures than the iPhone 6s. A f/1.8 aperture that captures 50% more light means you’re going to get much better pictures and videos in low light conditions. The phablet is going straight after DSLR cameras, and you’ll have a hard time ignoring its capabilities. The iPhone 7 Plus has two 12-megapixel cameras. One is exactly similar to the iPhone 7’s. It’s a wide-angle camera that will take pictures just like the iPhone 7. The second camera is a 12-megapixel telephoto lens with the f/2.8 aperture that brings over optical zoom to the iPhone. The telephoto lens also adds a depth-of-field effect to images, but it will only be activated via a software update set to be released at some point in the coming weeks. The depth-of-field feature, also known as bokeh will bring over a new portrait mode to the camera app for photos. What happens is that the ISP uses both cameras to make the subject look sharp, while blurring the background. This is the type of feature you’d see out of DSLR cameras. The iPhone 7 Plus offers 2x optical zoom thanks to the dual-lens cameras and the ISP, while digital zoom goes all the way to 10x for photos and 6x for videos. The FaceTime camera on both iPhones got better as well. We’re looking at a 7-megapixel front camera with f/2.2 aperture that has auto image stabilization and does Full HD video recording.